Newark. Most people consider it the shittiest of shitholes. Between its traffic, gangs, pollution, and all-around ghettoness, this city represents the worst of the Armpit of America. But, there is at least one bright spot: its mayor. 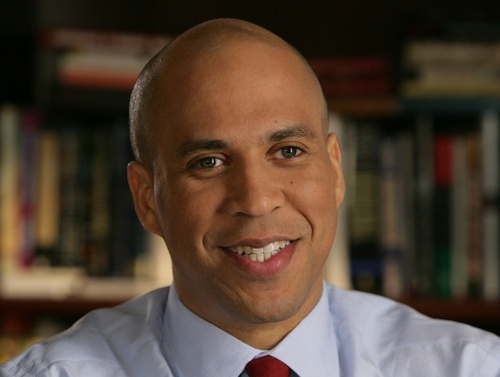 Cory Booker has been mayor of Newark since 2006, and, in that short period of time, he has accomplished a lot. Within his first 100 days, he increased the city’s police presence, expanded youth programs, and made it easier for former criminals to get jobs. He also miraculously lowered property taxes in Newark. Even more impressive, since taking office, the crime rate in Newark has dropped dramatically (murders and rapes are down over 40%! ), the amount of affordable housing has greatly increased, and the city has received over $100 million in private donations. Mayor Booker’s leadership hasn’t gone unnoticed. Upon taking office, Obama tapped him to be the head of the White House Office of Urban Affairs Policy. Remarkably, Booker turned it down in order to stay focused on his beloved city. Wow. Who in their right mind would turn down a comfy, high-paying leadership job in DC to stay in the Newark? I guess Cory Booker would. Booker got even more national attention this past September, when he and Conan O’Brien got into a little spat. After Conan made a little joke at the mayor’s expense, Booker banned Conan from Newark Liberty Airport. In my opinion, never having to set foot in that airport would be more of a reward than a punishment. Anyway, Booker and Conan have since settled their dispute, with the latter making a $500 donation every time he jokes about Newark. Another recent event has once again put Mayor Booker in the spotlight. On New Year’s Eve, a woman contacted Booker through Twitter and asked him to help her 65 year old father shovel snow. So what does the mayor do? Within twenty minutes, he shows up at the guy’s house to shovel the driveway! Unbelievable. Say what you want about New Jersey and our politicians, but there are some exceptions to the rule, with Cory Booker being the most obvious. What the hell has the mayor of Cincinnati done for anyone lately? And would the mayor of Miami drop whatever he was doing on New Year’s Eve to shovel snow for someone? And don’t even get me started on the mayor of Eugene, Oregon…. On behalf of the city of Newark and the state of New Jersey, I’d like to thank Mayor Cory Booker for a job well done. You, sir, have helped me in my quest to prove that the Armpit of America isn’t so bad after all. This entry was posted on January 5, 2010 at 10:38 pm and is filed under NJ Personalities. You can subscribe via RSS 2.0 feed to this post's comments. Thanks! I like your deodorant! Have you seen the documentary- “Brick City?” It was on the Sundance channel a few months back and is all about Mayor Booker and Newark- it was really good. Armpit?? Aww that makes me sad. I’m happy about all that Mayor Booker is doing as well. Also, the documentary Brick City (season 2) premiers on the Sundance Channel tomorrow. i’m glad it gives people a view into what really goes on in our city. Yeah anyone who makes this state a little better gets a gold star in my book. And thanks for letting me know about Brick City! I’m sure he had some security with him…or at least a bullet proof vest. Cory Booker is always jogging in his neighborhood. He is trying to lose weight.